Note: Some year levels/subjects have limited units of work available. 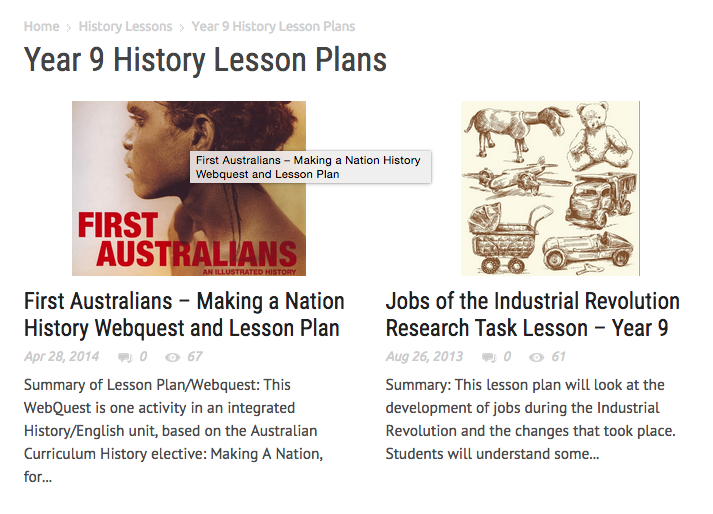 What made me come back to this resource was a personal need to find resources and information about the Year 9 History unit I am teaching this semester. I have already found a brilliant Gallipoli resource I will definitely be using it with my 9/10 class when we do our depth study on WW1. 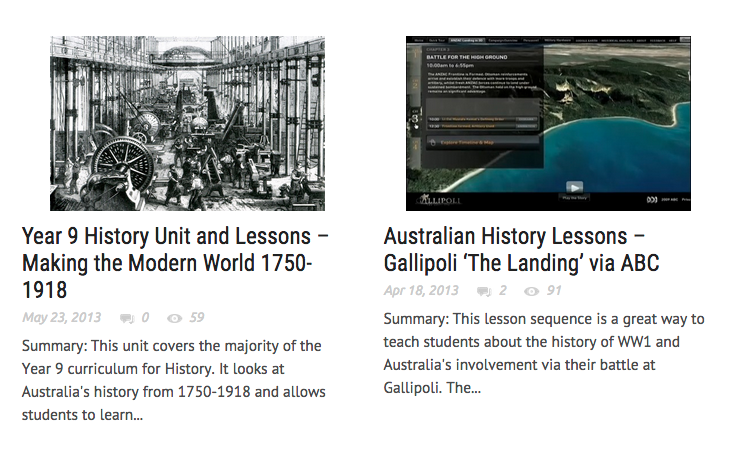 Below are screen shots of my Year 9 History search on the website. 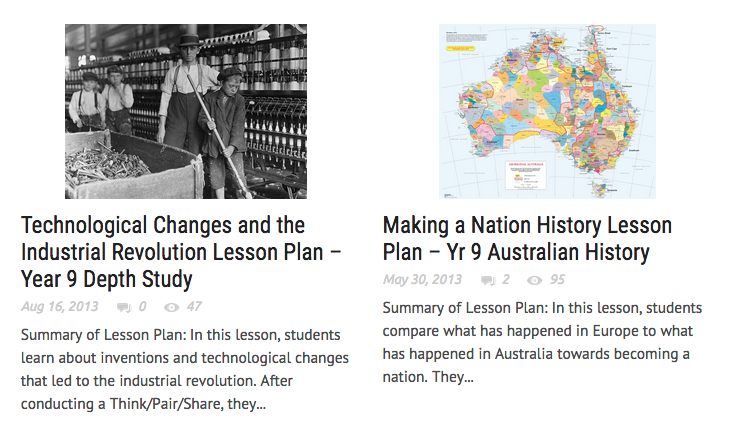 All units on the site are directly linked to the Australian Curriculum and provide downloadable lesson plans and links to resources. 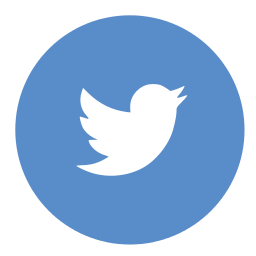 Even if a lesson plan doesn’t suit your specific needs you may find new resources that you can use with your existing programs. 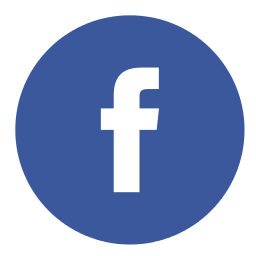 This entry was posted in Australian Curriculum, Resources and tagged Australian Curriculum, Australian Curriculum Lessons, resources.